Eudora is a classic, powerful, flexible and efficient email client that cans spam precisely, too, and shows nary a weakness. However, leveraging the statistical spam filter to organize good mail would be a nice addition. Some of Eudora's best features (the spam filter and fast search) are only available in the paid version. Eudora filters spam effectively and quickly alerts you about deceptive URLs in phishing emails. Fast index search finds any email fast in Eudora (Windows only). Eudora is rock-solid and rich in powerful features for efficient email use. Eudora does not offer smart folders (though you can save search criteria). It would be nice if Eudora could use its Bayesian filtering engine to classify mail automatically. Eudora's remote content privacy protection could be improved. Eudora handles multiple POP and IMAP accounts. Powerful filters, labels and a flexible template system for replies help you handle email in Eudora. Eudora includes fast email search, and the "Content Concentrator" trims quoted text. Integrated "SpamWatch" Bayesian spam filtering cans junk precisely and with little effort in Eudora. Eudora's "ScamWatch" alerts you about suspicious links in phishing emails. Another feature dubbed "BossWatch" helps you avoid sending mail to bosses or clients inadvertently. You can read and send richly formatted HTML emails, but Eudora has solid plain text features, too. Eudora Sharing Protocol can automatically synchronize files and folders via email. Eudora gimmicks include usage statistics, offensive vocabulary alert, contextual filing, graphical smileys. Eudora supports Windows 98/ME/2000/3/XP/Vista and Mac OS X.
Eudora is a wonderful email client. Over the years, the makers of Eudora have found efficient and elegant solutions to just about all email problems as they have surfaced. Eudora also has solutions for problems you probably do not have (like "MoodWatch," the amusing indicator of aggressive vocabulary), but for the most part, Eudora is a flexible, fast and easy to use an email program. Eudora lets you read and write emails in style, of course. Eudora's message rules are versatile, and it's easy to eliminate spam using the precise Bayesian filter, dubbed "SpamWatch." "ScamWatch" looks for spoofed URLs in phishing emails that want to trick you into handing sensitive data to criminals. ScamWatch fares pretty well but does not catch all fraud attempts, so it still pays to be alert. The same applies to "BossWatch" which alerts you when you're about to send mail to certain domains. 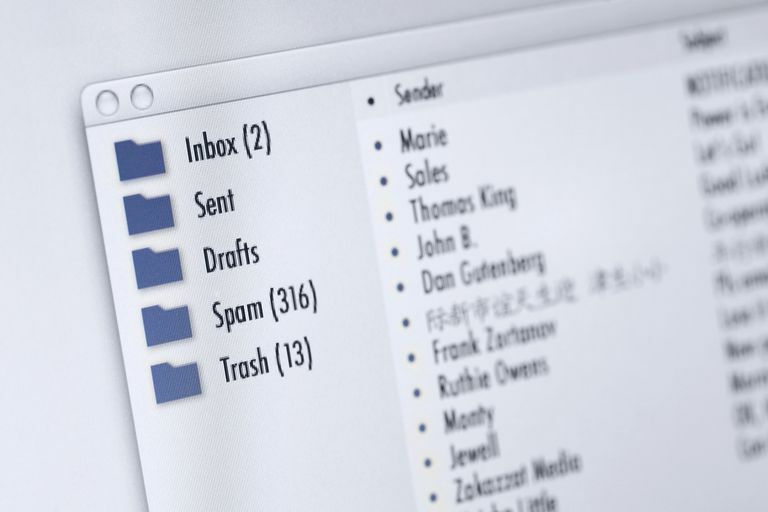 Finding mail is solved elegantly and fast with an X1 index search. While you can block Eudora from loading remote content in emails automatically, more flexible controls would be excellent. Eudora comes with a flexible template system for canned replies, the "Eudora Sharing Protocol" (ESP) is very easy to use, albeit proprietary, way to sync files automatically, and the content concentrator trims quoted text nicely. It's a pity that Eudora doesn't come with integrated secure messaging, and it would be nice if Eudora could use its Bayesian engine to sort mail automatically.